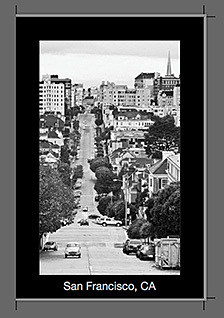 Virtual camera club member Jeramy sent along a tip that the Sitepoint book, The Photoshop Anthology: 101 Web Design Tips, Tricks & Techniques written by Corrie Haffly, can be downloaded for free. I gave it a spin. I had to provide an email address, and then was sent a link. The download was about 63 MBs. The books itself was written in the Photoshop CS2 era, so it doesn't include some of the latest tools. That being said, Photoshop Anthology does a good job of covering basic adjustments and techniques, and has lots of goodies for publishing graphics on the Web. The tips are solid and based on good use of layers and other Photoshop standard practices. 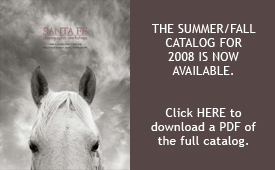 The layout is attractive and easy to read, even in PDF format. And you certainly can't argue with the price! Thanks Jeramy for the lead. There's still time to join me in the great Southwest. From June 22 to June 28, 2008, I'll be facilitating a Digital Lab at Santa Fe Workshops titled, Beginning Workflow with Adobe Photoshop and Lightroom. I'm very excited about having the opportunity to teach this lab, not just because I'll be working in Santa Fe for a week (although, not bad either), but because I'll be able to share one of my favorite workflows for photographers who want to work efficiently. Apple recent posted Digital Camera Raw Compatibility Update that includes the new Canon Digital Rebel (and others listed to the left). This is news because Apple has responded much faster this time around than with the Canon 40D and Nikon D3 and D300. If you're a Leopard user, you can also get the new Raw profiles via the Mac OS X 10.5.3 update. You can read about the Leopard update on this Knowledgebase document If you're not ready for all of that, but want the profiles, then just go with the Digital Camera Raw Compatibility Update. Both are available via the Software Update menu on your Mac. For quite sometime, the Epson R2400 inkjet printer has been the standard for photo enthusiasts, especially those who enjoyed B&W output. Even though it produced great images, the R2400 did have its shortcomings. Its nozzle management system sometimes didn't manage very well resulting in clogged jets at worse, or lots of ink flushed to clear them at best. Plus, having to swap cartridges for matt and glossy surfaces was a pain, resulting in more flushed ink. "In the short time we’ve had our R2880, what has impressed us most though is its ink efficiency. The printer’s ink cartridges are the same capacity (between 13 ml and 15 ml, depending upon the source) and price ($13.99) as those of the R2400, which works out to between $0.82 and $1.08 per ml, better than HP’s Photosmart Pro B9180 and B8850 and Epson’s R1900 (but still considerably higher than the Stylus Pro 3800). After two complete ink changes and some careful comparison with our in-house R2400, the advancements Epson has made in the R2880 were readily apparent. Unlike the R2400, ink life was fairly consistent across all of the colors, and even with extremely low ink levels, we didn’t have to replace cartridges when swapping between photo and matte black inks." I know this printer will continue to be put through its paces. But out of the gate, it's looking like a winner in the sub-$1,000 derby. Many photographers don't realize that there's a powerful layout program within Aperture. You can use these tools to design custom posters, postcards, fliers, menus, title graphics for slideshows, and, oh yes, books. That's right, Apple has cleverly labeled this layout program as a book-making tool. The big change came with Aperture 2 and its Custom layout option that you'll find in the Book Type popup menu when you're first setting up your book project. Choose it, and you can design any size page you want. I created a postcard layout that I keep handy for churning out keepsakes while on the go. I then reveal the Show Layout Options located in the "gear" popup menu. And finally, I switch to Edit Layout, which lets me do things such as add a photo border any size I want. For font control, just return to Edit Content mode (the button to the left of Edit Layout), highlight the text, then right-click (or CTRL-click) on it to reveal the Font option. And don't forget, you can adjust your image anytime you want by clicking on its thumbnail and pressing the "H" key to reveal the Adjustment HUD. I recorded a good podcast with Joe Schorr, Apple Senior Product Manager, that talks about all of these techniques. It's a good listen. Bottom line is this: not only is Aperture a powerful photo management application, it also provides you with robust options for output. Once you create your custom layout in Aperture, you can print, save to PDF, or generate a JPEG from your creation. That's downright awesome. ...when you can't even afford the rebate amount. Just saw this on PhotographyBLOG this morning. I'll tell you though, that Hassey is a heck of a camera. If you want to know more about the offer, check out story. My friend Bruce Heavin stopped by the Lynda.com studio late this afternoon with a trunk full of Canon glass wanting to know if I would go shooting with him. Bruce cofounded Lynda.com, is a terrific artist, and hangs out in our virtual camera club. I was ready to go in about five minutes. I decided to try the hefty Canon EF 28-300mm f/3.5-5.6L IS USM. It's not everyday that you get to go shooting in Santa Barbara with a $2,300 lens hanging over your shoulder. And what was just as fun, I was toting the Rebel XTi, so I had the crop factor that made the lens a virtual 450mm IS hunk of glass. Even though it's a solid 3.7-pound zoom that dwarfed my XTi, it's a balanced lens and not that bad to carry around. Actually, its weight makes it easier to steady while shooting. The focusing is smooth and fast. You can adjust the drag on the push/pull zoom to accommodate your personal taste. I loosened it up for easy zooming, and still didn't have a creep problem. Even though I was shooting into the sun often, I didn't have any flare problems while the lens hood was attached. And the IS is amazing. I was shooting handheld with shutter speeds around 1/180th with the zoom all the way out. The images are sharp with terrific contrast. I left the 28-300 on my camera body all night, hoping that Bruce would mistake it for one of my lenses. But alas, I had to give it back. I really like this lens, and hope to mount it on the 5D someday. You can see more images captured with the Canon EF 28-300mm f/3.5-5.6L IS USM on my Flickr photostream. 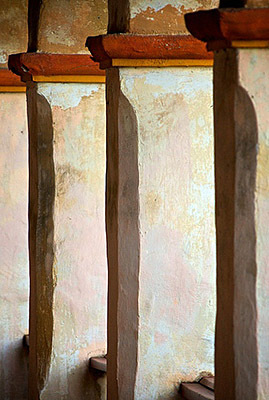 Photo of the Santa Barbara Mission by Derrick Story. In a recent podcast I asked the question, HDR: Do We Still Need It?. "Yes, we do," answers Landon Michaelson. He goes on to explain how he crafted his Wet Fields image. It's an outstanding example of pushing dynamic range creatively. He applies his own term to the process, Hybrid Exposure Compensation, and explains how he did it. 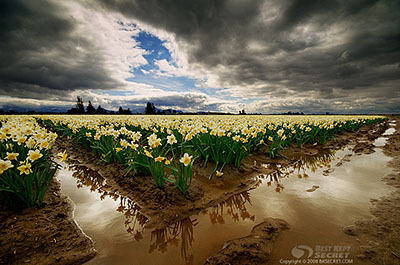 "I was standing in the mud on the edges of these expansive daffodil fields in the Skagit Valley of Washington State," said Landon. "I wanted to keep the scene more of how it felt to be standing here. The sky was bright, even though the sun was behind cloud banks and only peeked out later in the morning." "I had circled around 3/4 of this field looking for a good lineup of the clouds, breaks in them, the fields and the placement of the horizon line. The reflections in the foreground caught my eye, as did the lines in this vantage point. I use a Sigma 10-20 4-5.6 EX lens for this shot, and crouched down to give just enough daffodils to go off into the distance, but not too few or too many (too high or too low)." "I framed in the reflections and waited for the wind to die down a bit, then fired of 5 quick exposures, one stop apart,hand-held while braced in the crouch position (monopod and tripod get very muddy here)." "I looked at the histogram for the five shots, liked what I saw for field capture of the data and moved on to the next composition." "I use a variety of tools to merge my exposures, a term I coined as HEC (Hybrid Exposure Compensation), which is just a fancy way of saying the workflow is fairly organic; using what tools I have and what I need on an image by image basis to meet my creative goals for the shot. I don't label any of my exposure merges as HDR, because one method is never used the same way twice and no one tool does it for me." "In this case I loaded the 5 NEF RAW files into Photomatix Pro 2.5.2 - great tool for helping remove the slight movement in the individual blooms due to the breeze. I output one TIFF file via the "Tone Compressor" tool and got the sky the way I wanted it and how I felt about seeing it. I output another via the Tone Compressor tool for the foreground and middleground. I then output a third TIFF with the "Details Enhancer" tool to give some localized contrast and balance to the shot, as needed in post." "I loaded the foreground/middleground shot into Photoshop CS3 Extended. I then loaded the sky layer on top, and the details enhanced layer on top of that. I did a hard line transition with a layer mask between the sky and the daffodils at the horizon line. I then changed the details enhance layer mode to soft light and with a layer mask and a Wacom painted in and out areas of this adjustment layer that got the scene close to how I liked it." "Next I added a Selective Color adjustment layer to help the colors not have other muddy colors in them (taking some yellow out of the cyans for instance). Soft light layer to put more contrast in the sky above. Hue/saturation adjustment layer to pull -9 out of saturation for the entire image. In this result, it was all about seeing the scene to completion with how I saw the scene, or felt about seeing the scene. Not meant as a documentation of standing there. Hard & soft edge GND filters could have been used too, but one more thing to worry about while crouching in the mud." "In the end I am pleased with the outcome. There was a lot of dynamic range in that sky alone, so I was able to keep it under control with this approach. When I printed this image I chose to take a little bit of the contrast increase out of the shot. Once on paper I thought it was a little too surreal, but I personally like a touch of surreal in the real and a touch of real in the surreal. Just not too far." So another theory bites the dust. For months I've thought that if high-end compact cameras only packed bigger sensors, we would get better high-ISO performance and be able to use these devices for existing light photography in dim environments. But our first test case has not proven this theory to be true. "While the DP1 can produce some brilliant results in daylight, it is almost completely useless in any low light situations. At higher sensitivities you'll find large amounts of chroma noise in your images, and you start losing detail. Turning on the flash won't help you much either, it is very low power and takes ages to recycle. Chances are you would not be able to focus anyway. 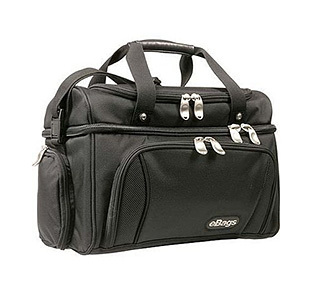 The AF gives up completely once you dim the lights and there is no AF help light on the DP1." So, this big Foveon sensor is no better in low light than my tote-around point and shoot. 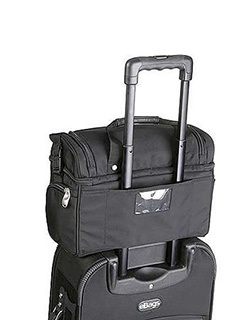 Of course, there could be other contributing factors to this, such as the Foveon technology itself, the supporting electronics, or some other thing that I just don't get. But the bottom line is, our first test case for putting a big sensor in a small camera fails to improve low light performance. So, for now anyway, looks like I'll stick with my Canon G9. 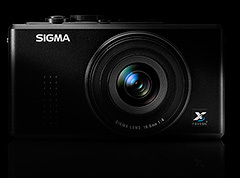 Maybe Sigma will go back to the drawing board and improve performance with the DP2.